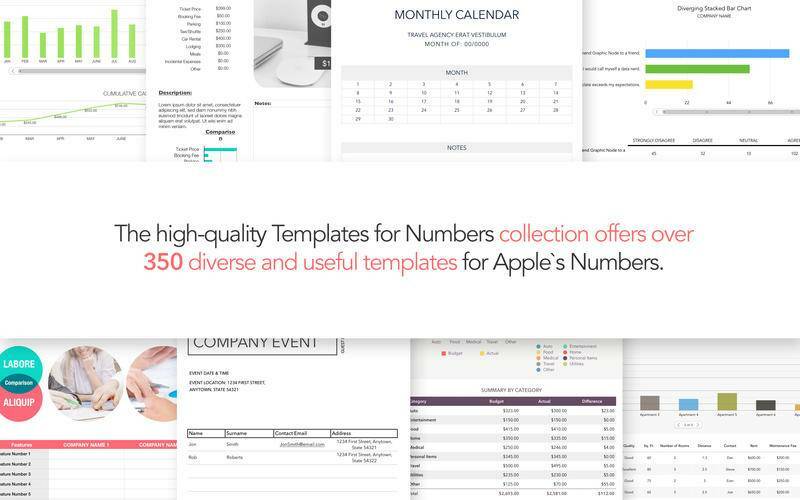 The high-quality Templates for Numbers collection offers over 350 diverse and useful templates for Apple`s Numbers. Use them for your business or personal needs. Handle your day-to-day assignments a lot easier. Customize the template to your requirements: create tables, make calculations, draw diagrams, insert images thus tackling your job efficiently and effortlessly. Available in the US and international paper sizes. Wide range of possible modifications allows you either to stick to the ready made samples or to engage your imagination and fit the templates to your expectations. Variety, originality and high usability of over 350 as jolly baby shower or serious matters of accountancy. 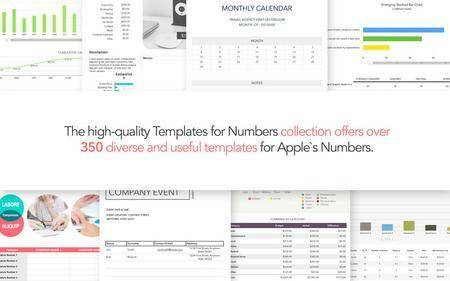 The Templates for Numbers pack is composed to ease your struggle with design thus letting to concentrate on the content and saving you a lot of time. At the same time, they are created to add lustre to your documents thus making their remarkable. Improved compatibility with macOS Sierra.